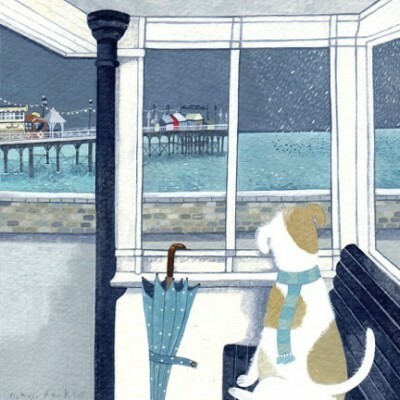 Right now we are waiting for new Mani PARKES Art to arrive at the gallery. In the meantime, here is a selection of the artist's archived art work which has featured at Red Rag Art Gallery. If you wish to register to receive updates and alerts when new art work from Mani PARKES arrives select this link. For as long as she can remember Mani Parkes has always wanted to be an artist. As soon as she could hold a pencil all she ever wanted to do was draw. Mani undertook an Art Foundation course at Lincoln College of Art. Further study followed at UWE Bristol where she studied Illustration. She then transferred to Edinburgh College of Art - graduating in 1997 with a BA (Hons) in Visual Communication. Today Mani Parkes is a sucessful professional artist. Her paintings are created using acrylics. The quick drying nature of these paints are ideal for Mani as she can add all the tiny details to her pictures without delay. 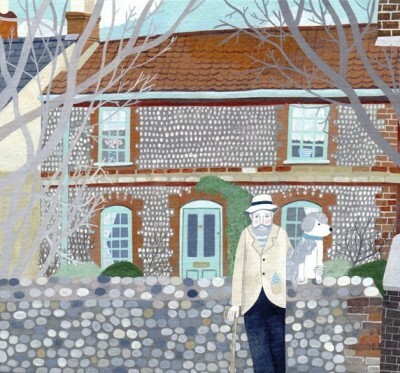 Mani Parkes likes to use muted colours building up the layers of paint as her paintings develop. Inspiration for her paintings come from many things. 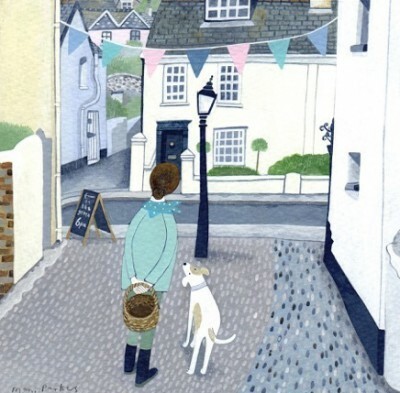 The day to day sights that Mani Parkes sees on the school run often inspire her paintings. Cycling through the higgledy - piggledy streets, Mani loves the charming buildings and quirky characters that she sees. 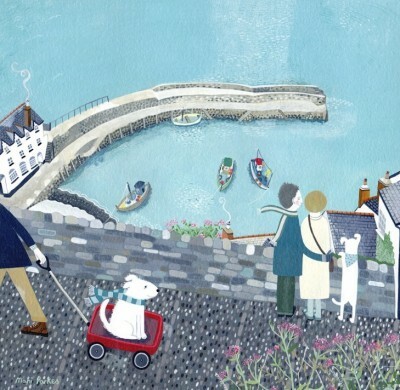 Mani Parkes loves nature, a beautiful pair of spotty wellingtons or a stripy scarf. Mani aims to capture a quiet moment that makes people smile. 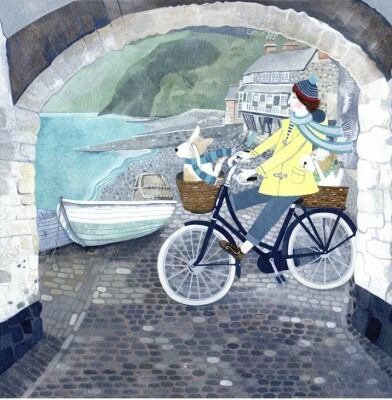 Mani Parkes naive style is evident in all the seasons. Be it Winter, Spring, Summer or Autumn she creates charming and memorable paintings.Her strong observational skills are evident in each painting along with the subseqent details which she records. 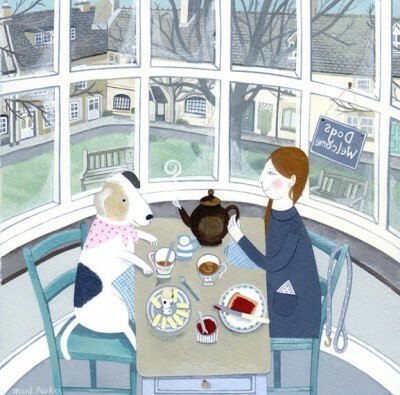 In addition to Red Rag Art Gallery Nani Parkes has also exhibited at a number of other British Art Galleries. Each painting at Red Rag is sourced from the Nani Parkes artist studio and like all Red Rag British art and Contemporary art it can be shipped worldwide.